When committee members would like to share their workgroup's private content with others in their organization, they can use Causeway's powerful sharing options to share selected content with the other workgroups. Causeway's various options for sharing information between groups allows for either read-only, edit (read/write), or full administrative rights to be granted to the receiving workgroup. 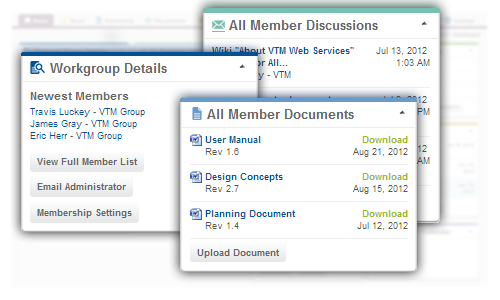 This allows content owners to keep information secure while at the same time facilitating collaboration between workgroups.